You can have an attractive and contemporary appearance for your living room with this console table. The piece consists of 8mm tempered glass sides and weathered grey surfaces. 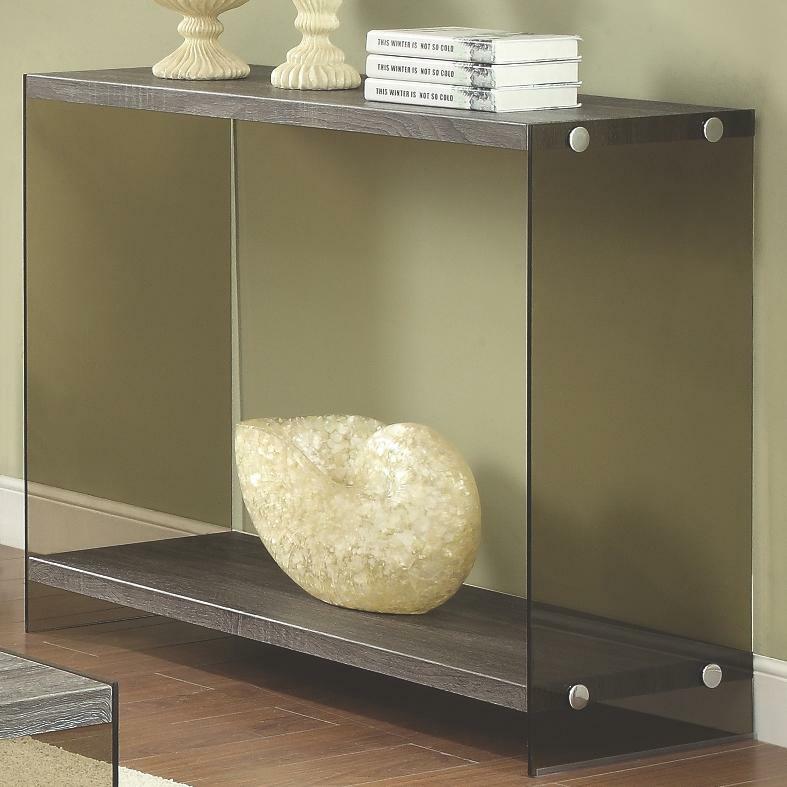 The matching lower shelf is great for keeping books, magazines, plants and framed photos. If you are looking sleek, clean and slightly rustic look for your living room, this sofa table is bound to please. 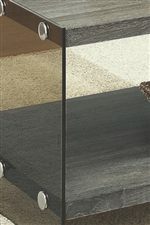 The 70196 Console Table w/ Glass Sides by Coaster at A1 Furniture & Mattress in the Madison, WI area. Product availability may vary. Contact us for the most current availability on this product. The 70196 collection is a great option if you are looking for Contemporary furniture in the Madison, WI area. Browse other items in the 70196 collection from A1 Furniture & Mattress in the Madison, WI area.